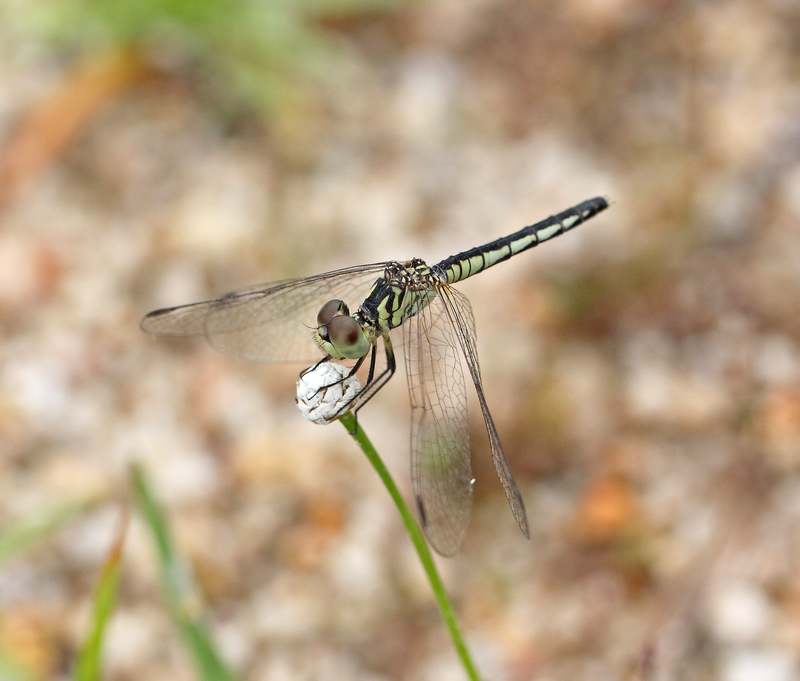 This dragonfly species is uncommon, but it is locally abundant. It is mainly found at marshes and shallow ponds in open, disturbed country side. The matured male is about 23 to 25 mm in body length. It is blue with very distinctive dark tips to the wings. As it matures, pruinescence develops over it’s body, and the blue becomes darker. 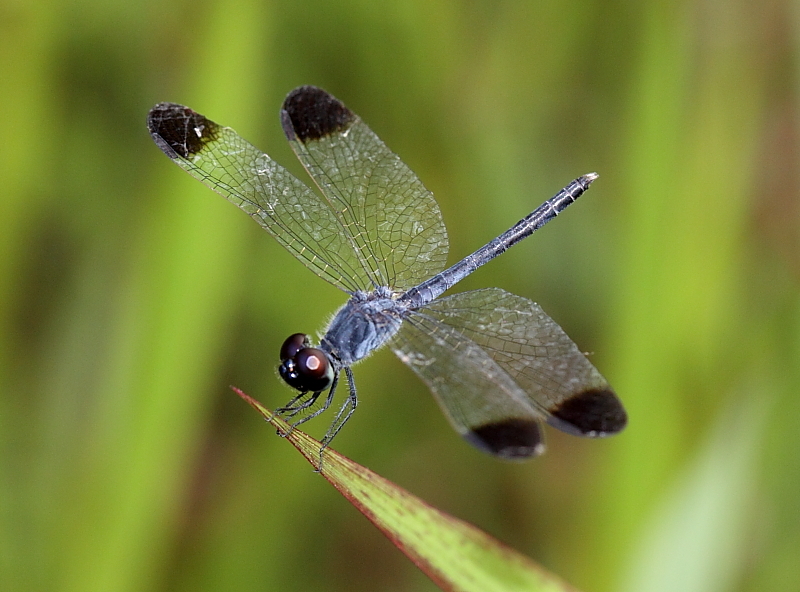 Female is slightly larger, with clear wing tips. It is yellowish olive with paler bars of the same colour running across the lateral part of the abdomen. 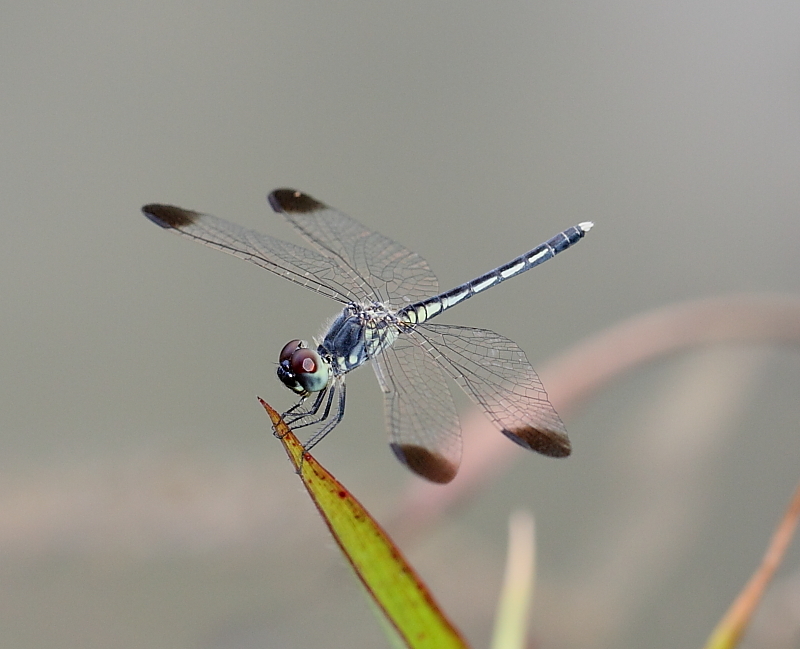 The wings of the female are clear, without the dark apical patches. Young male looks very similar to the female.